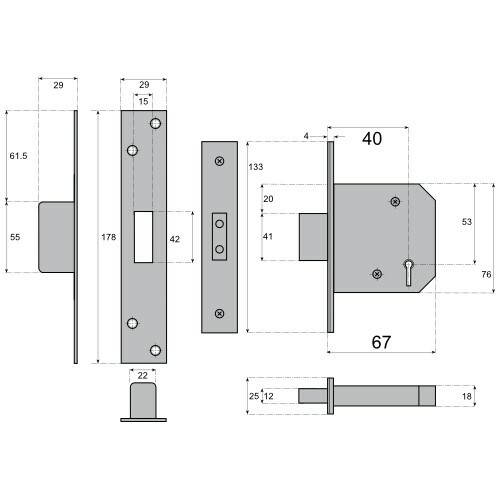 The 3G114 range of High Security Deadlocks are probably the most well known and specified locks of their type in the British security market and are suitable for securing both domestic and industrial/commercial entrance doors. 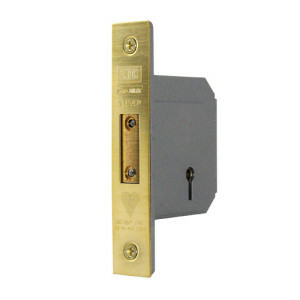 Offering excellent protection against all common forms of attack, this lock features a positive 20mm throw solid brass deadbolt with hardened steel anti-saw rollers, hardened steel anti-drill side plates and anti-pick levers. Certified to BS3621 and recommended by insurance companies and the police. This lock can be used for new applications or fitted as a replacement for older locks and is approved for use on fire rated timber door sets in accordance with current regulations. Originally bearing the Chubb name, this lock is now manufactured under the Union brand name. Produced in the same factory by the same people and using the same technology and parts, this lock remains "Chubb at Heart". 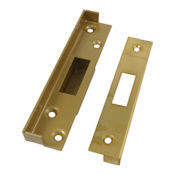 Manufacturer's standard keyhole escutcheon sets are 32mm dia, one covered and one plain in matching finish. 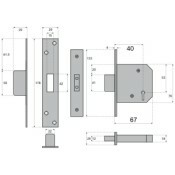 Alternative escutcheons can be found in any of our door furniture collections if required.